2017 was our first full year in market, and god knows we’ve been busy. So in this post, I wanted to reflect on some of the more (and less) talked about product features our team has been working on. That’s a fun fact. It means about four product changes per workday. Each of these includes design, development, testing, and deployment of new code to our production servers. Throughout the year, we invested roughly 15% of our time building what we call Exponential Efficiency tools (more on that to come). These automation tools help our team focus on delivering great software products at high speed by automating complex, lengthy, and repetitive processes. One of those tools is Cooper, our backend operations bot. Most of our development workflow is run by a bot. 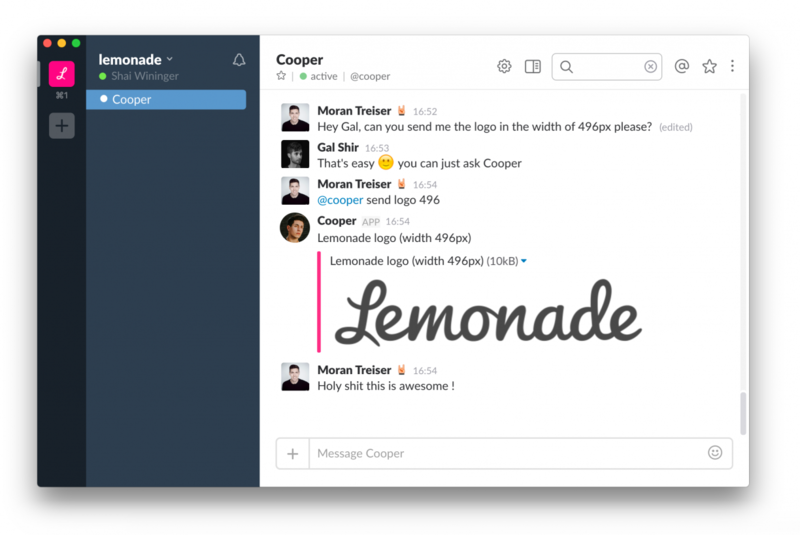 Cooper handles everything from task assignments to the creation of production environments. 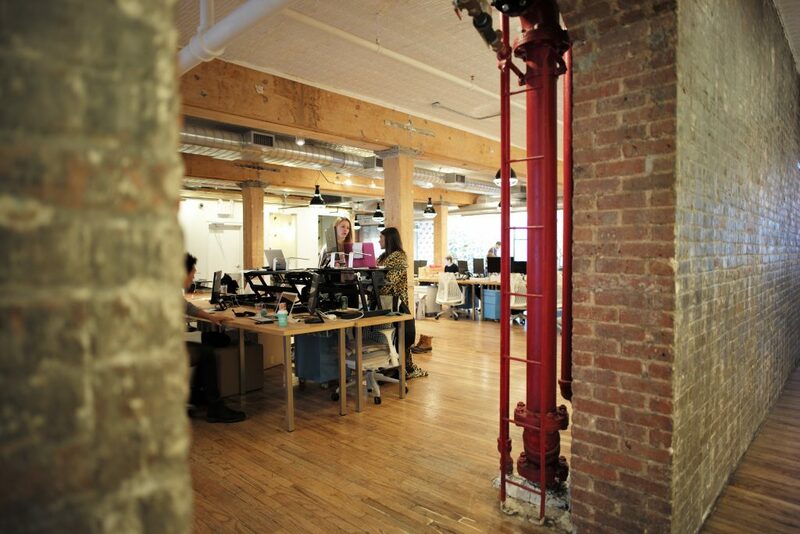 He even watches our backs by validating our code with automated tests – 14,000 of them to be exact. Cooper ensures each product change, no matter how small, lives in its own protected sandbox and doesn’t interfere with other features currently in development. That way, our team can run fast and deploy new code several times a day, without worrying about trampling other features. Cooper started life as a geek bot, capable of mostly technological tasks. Since then, Cooper has evolved into a company-wide operations assistant, giving us superpowers. Using a bot like Cooper is the closest thing to having an exoskeleton for your mind. Today, Cooper allows our underwriting team to easily respond to risks in real time, eases complex tasks such as handling mortgage payments for our customer experience team, and assists our growth team in running and testing tens of thousands of ad variations across multiple states and target audiences. Cooper is just one part of our long-term vision of the Autonomous Organization. Read more about that in my recent post on The Next Web. Some traditional insurers claim to be THE ‘direct to consumer’ insurers. They let you pay for an auto or renters policy online and even send you some documents digitally. 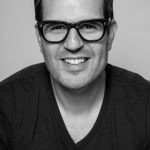 The thing is, the only part that’s truly direct is the onboarding and payment process – as it serves their purpose of selling more policies. When it comes to servicing existing customers, well, you still need to reach out and wait on the line to speak to a customer service representative. 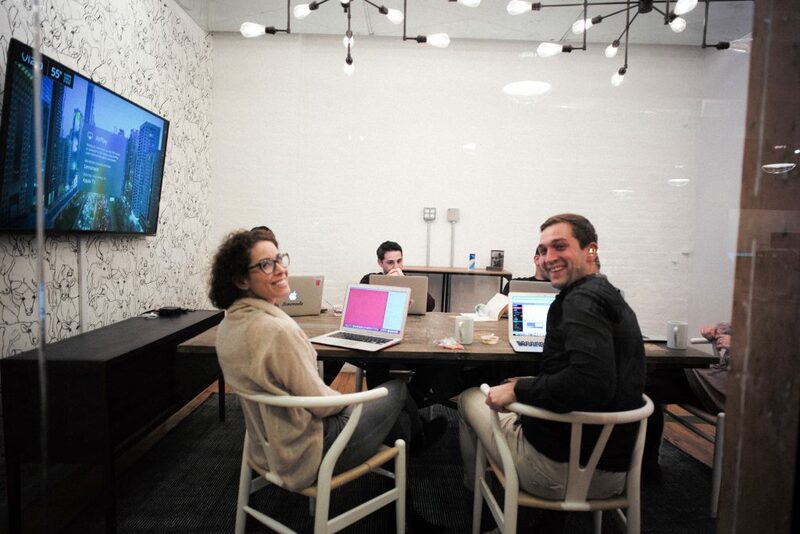 We believe onboarding is just the prelude; most of the magic happens after you pay. An instant and delightful experience must always be present, especially when our customers need help or just want to change something in their policy. Earlier this year, we launched a groundbreaking feature – Live Policy. 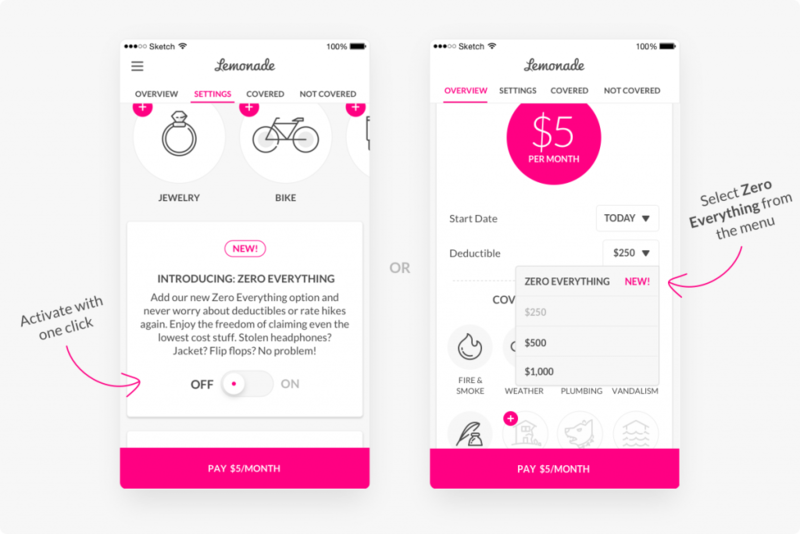 With Live Policy, Lemonade customers can make changes to their coverages, add their landlords and family members, and more, all in real time – whenever and wherever they are! It takes fewer taps to change your Lemonade coverage than it does to order a ride. Just open the app, go to your policy, and start playing around! More than a quarter of our members (read: tens of thousands of customers) have used Live Policy to customize their insurance on the go. No need to wait for customer service. Just do it yourself and move on. Want to personalize your coverage? Your significant other moved in? Want to cancel your policy and get a new one at a different address? Do it all with a couple of taps. Many people don’t know that their base renters insurance policy has some strict coverage limits for stuff like jewelry, cameras, musical instruments, artwork, and bikes. Because most of our customers own at least one high-value item, we set out to design special coverage for that purpose only. We call it Extra Coverage. Lemonade customers can add their valuable items to their policy anytime, without ever needing our help. Just open our app, take a picture of your new item and its receipt, fill in a couple of details, and get it covered. It’s that easy! 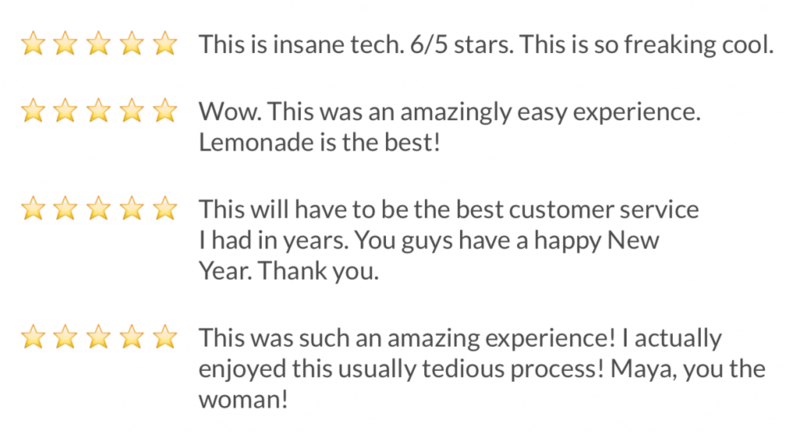 One of our biggest announcements for 2017 was the Lemonade API which, for the first time, opened endless possibilities for other companies to include Lemonade insurance in their products. 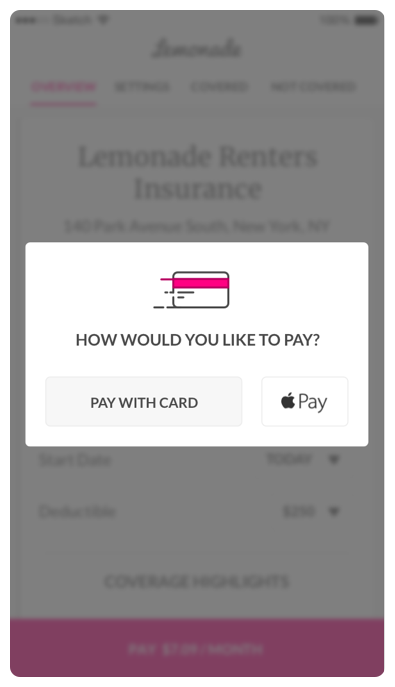 The Lemonade API supports seamless quoting, policy creation, and payment processing, and can be implemented in minutes. There are two ways to integrate our API. The first is a simple, one-line-of-code that gets you up and running in minutes. This option uses our customizable Maya bot experience. Maya handles everything, from collecting information needed for a quote, to handling payments securely and personalizing coverages. The more advanced option allows developers to control every aspect of the insurance purchase look and feel, bypassing our bot interface. This deeper level of integration allows us to offer insurance without disrupting other companies’ apps or websites. In the past few months, we silently launched a completely revamped version of our Chat Engine that, among other things, runs on an entirely new NLP (Natural Language Processing) infrastructure. The Chat Engine lives on our servers, and drives all of our conversational experiences – from signing up for a new policy to providing our instant and delightful customer care. The new Chat Engine was built to support CX.AI – an infinitely scalable customer care experience built in-house that lets our users make changes to their policy and get answers to complex questions, all in natural language, using AI. Zero Everything is the closest thing you’ll have to an undo button for real life. By upgrading to Zero Everything, users no longer need to pay a deductible and have their rate increased when filing their first two claims every year they’re with us. This means that you can claim anything, from your stolen flip flops to your MacBook Pro – and get the full amount, paid quickly! The obvious next phase in innovating around payments was making it as easy as paying for your pumpkin spice latte (yuck ). Apple Pay is the first of several payment options that we plan to introduce soon. When we were just a small team, we celebrated every incremental step of progress: from a new deployment to a pesky bug fix, and, of course, expanding to a new state. 27 state licenses later, you’ll hardly notice anything special is going on when you walk the corridors of Lemonade. The average time it takes our team to launch a state, once we have all necessary regulatory approvals in place, is 3 days! This includes regulatory modifications, configuring rates, creating customized flows, and running tens of thousands of tests. We made a decision early on to approach regulation with open arms, instead of fighting it. The more we work with regulators, the more we appreciate this decision and the importance of regulation in general. In the future, we look forward to taking a more active part in helping to shape regulation for the next generation of insurance. Once ready, activating a new state takes seconds thanks to our Exponential Efficiency tools such as Cooper. 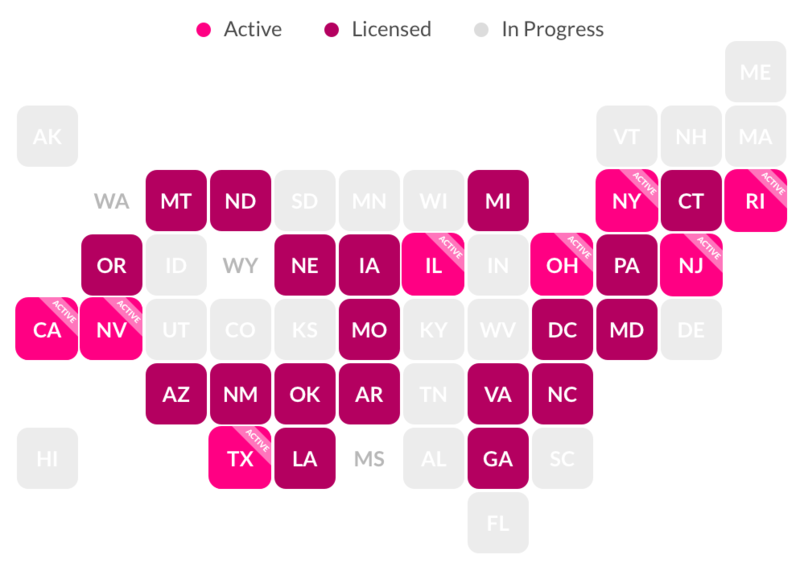 The cool thing is, not a single person from Lemonade set foot in any of the states we launched as part of their launch. There’s so much more to come, so stay tuned.